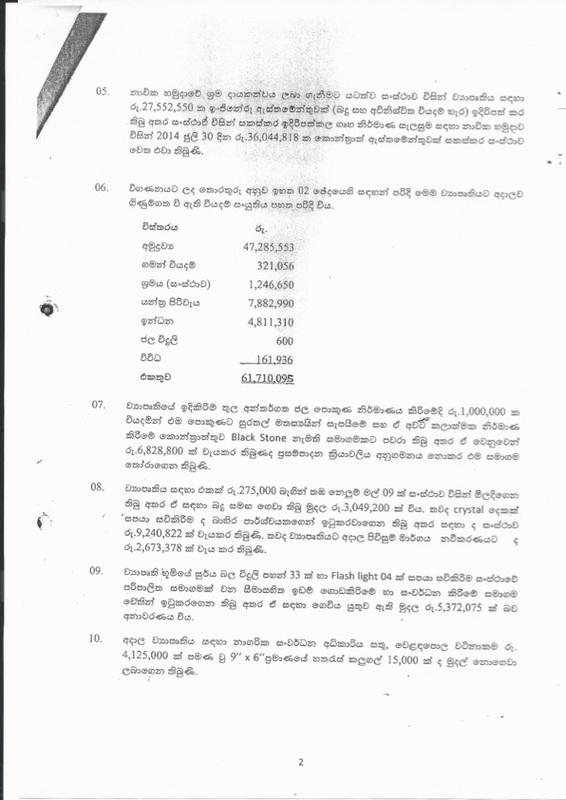 A sum of Rs 47 million is owed to the Sri Lanka Land Reclamation and Development Corporation (SLRDC) for the construction of the ‘D A Rajapaksa Memorial and Museum’ at Medamulana in a project approved while Gotabaya Rajapaksa was the Secretary of the Ministry of Urban Development. 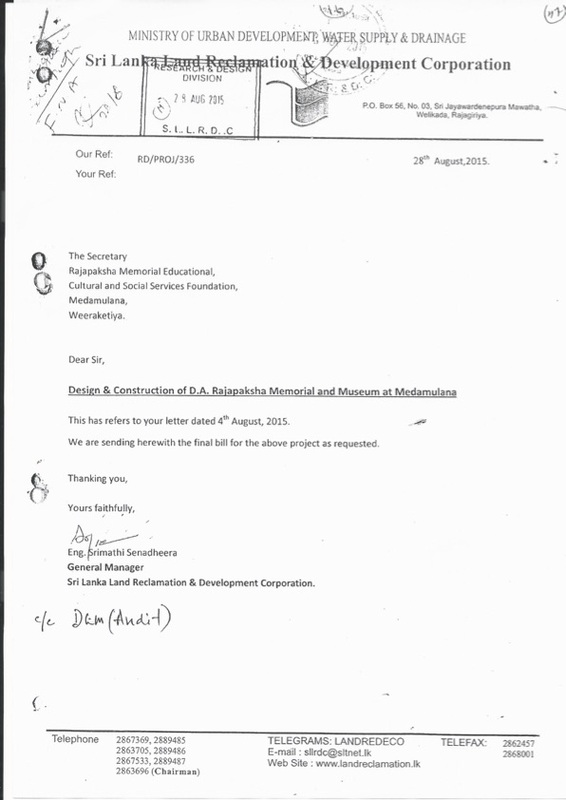 The then Chairman of the Corporation, Harshana Silva, who had replaced Karunasena Hettiarachchi in 2010 when Rajapaksa was appointed Secretary, had written to the Navy in September 2013 to commence work on the said memorial, following a meeting with officials of the Defence Ministry and the Urban Development Authority. 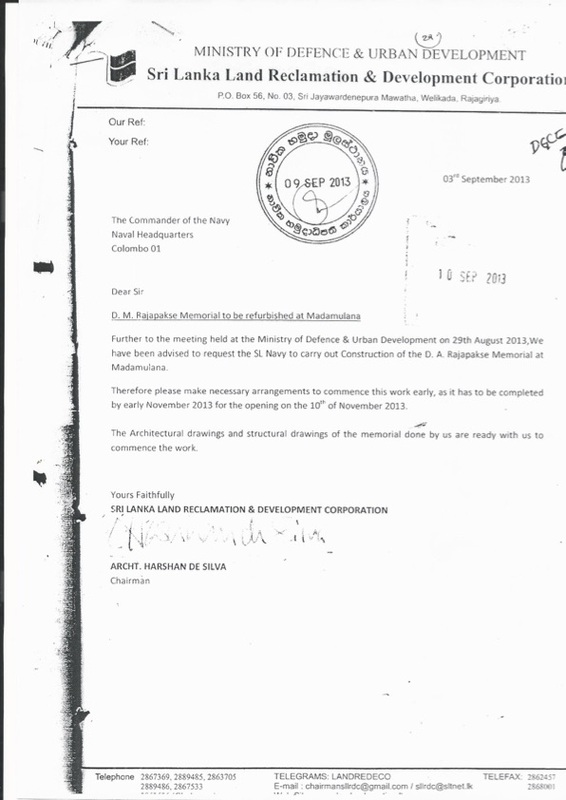 The Navy had written to SLRDC in January 2014 for the release of the said amount. 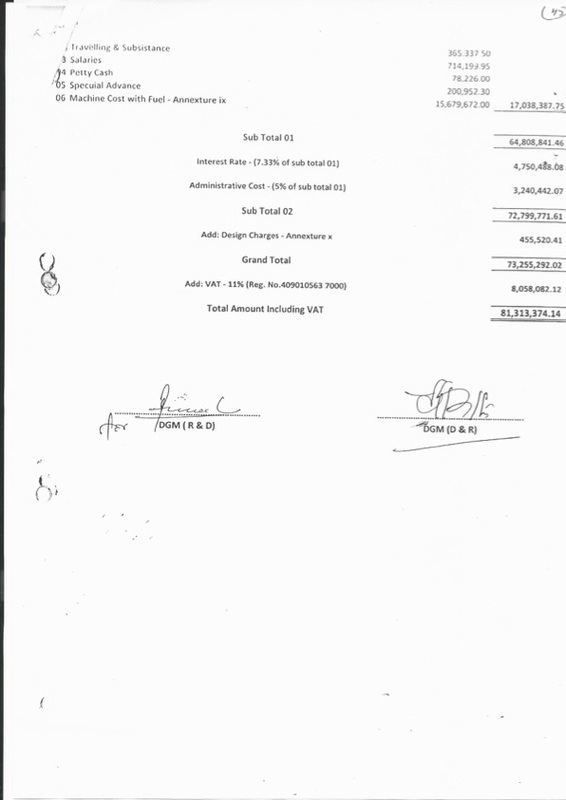 Accordingly, upon approval of Silva Rs 10 million had been released to the Navy on February 13, 2014. However Board approval for the same had been obtained only on February 13, 2014 (Board Paper No HDS/3714). 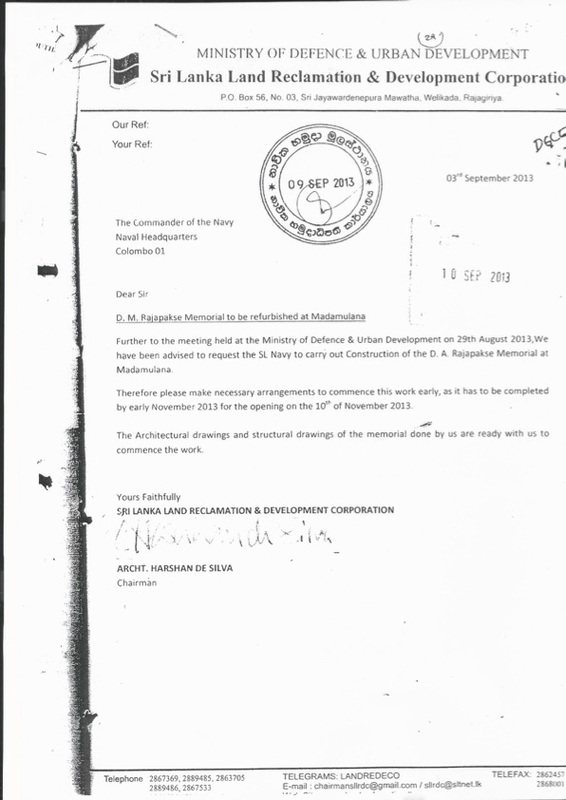 The Navy had commenced work with the SLRDC providing machinery and materials. Although the initial estimate was Rs 33.9 million, a total of Rs 81.3 million had been spent on this project. The memorial and museum were ceremoniously opened on November 5, 2014. 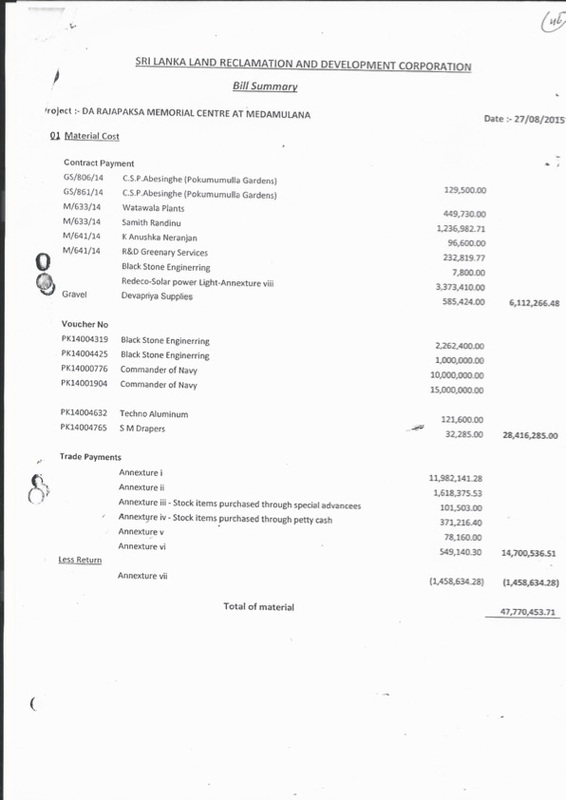 The Auditor General launched an audit query into the matter of Rs 62.1 million being spent on the ‘Medamulana Project’ on March 24, 2015. SLRDC responded to the Auditor General on May 14, 2015. A subsequent audit query had been launched on June 10, 2016 regarding the balance not being paid, to which SLRDC had responded on August 5, 2015. 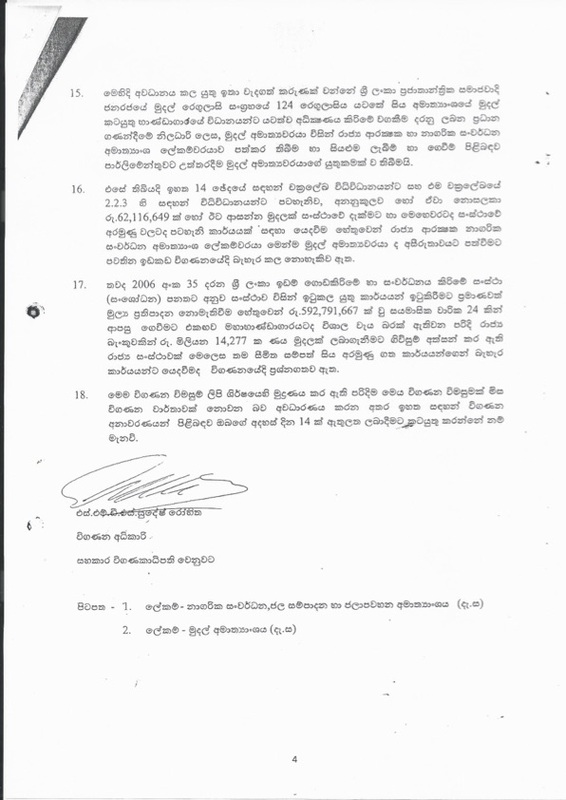 The Rajapaksa Foundation, after the new government was formed, on August 21, 2015 had written to the SLRDC, requesting an invoice. SLRDC responded, directing that Rs 25 million be paid by the Foundation until a final estimate of costs is done and a fresh invoice issued. Accordingly the Foundation had deposited a cheque for Rs 25 million to the SLRDC’s Bank of Ceylon Account on August 31, 2015. On June 1, 2016, the Legal Advisor to the SLRDC M.C. 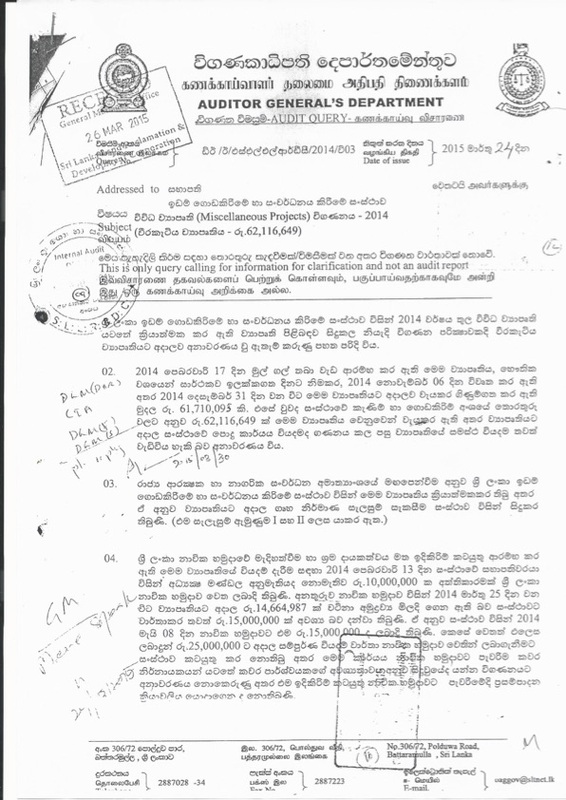 Jayaratne wrote to the Foundation demanding that the balance Rs 56.3 million be paid. On July 13, 2017 the Foundation had deposited Rs 8.9 million to the SLRDC account. On the 20th of the same month, SLRDC had written to the Foundation instructing that the balance amount also be deposited. The Foundation is yet to do so. According to sources Harshana Silva is said to have told the newly appointed General Manager and Deputy General Manager that the SLRDC had made profits in 2013 and that the money should be used to ‘please Gotabaya’ (Gotabayata selakiya yuthuyi). 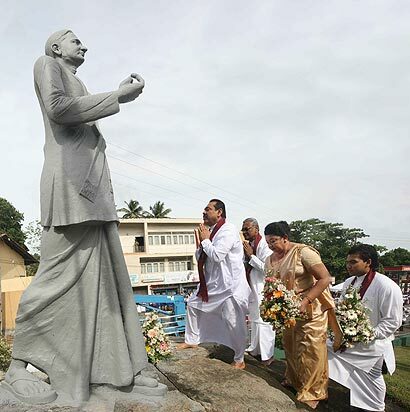 He had further said that the Medamulana Memorial should be better than the Bandaranaike Memorial in Attanagalle. When it was pointed out that Board approval was necessary, the relevant Board Paper was prepared by the Defence Secretary’s office, according to sources. Meanwhile the interim order, preventing FCID from taking action against Gotabaya Rajapaksa under the Public Property Act, was extended till December 25 by the Court of Appeal on December 15, 2017. 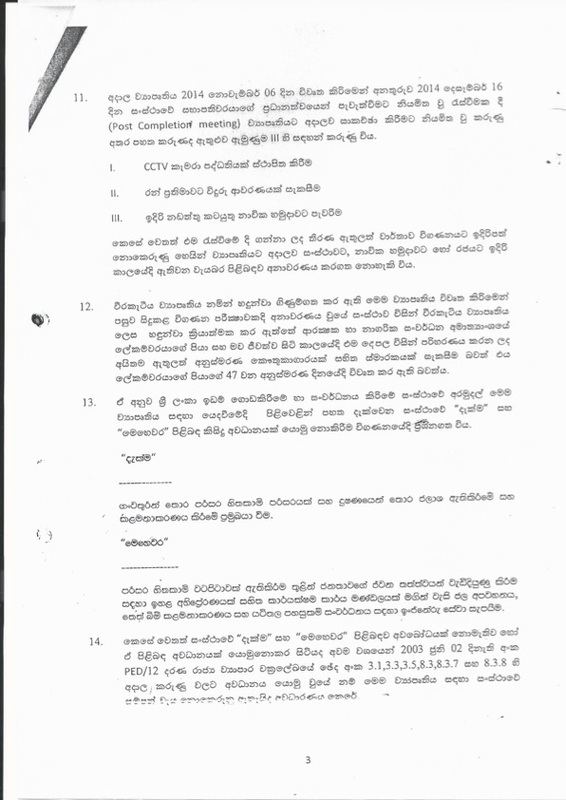 Gotabaya Rajapaksa in this matter petitioned the Court of Appeal on November 24, 2017 to prevent the IGP Pujith Jayasundara, CID Director Shani Abeysekera, Financial Crimes Investigation Division DIG Ravi Waidyalankara, ASP Kamal Paliskara and the Attorney General from proceeding and/or relying upon the Certificate filed under the offenses against the Public Property Act.